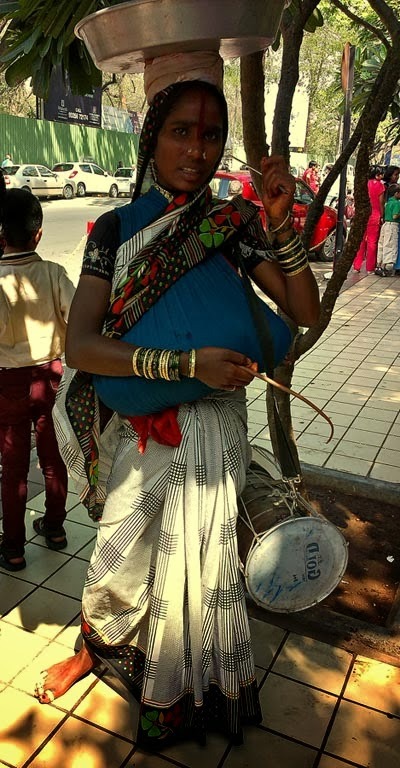 An Indian tribal woman in Pune city. She has drums with her. She sings and asks for alms.